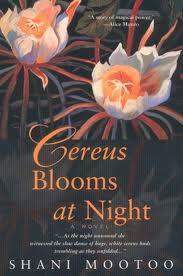 Amazingly, Cereus Blooms at Night is Mootoo’s first novel, but you would never guess. The writing is rich and the plot is confidently and skillfully woven; you can see why the book was longlisted for the Man Booker prize and was a finalist for the Giller Prize, the Chapters/Books in Canada First Novel Award, and the Ethel Wilson Fiction Prize. An Indo-Trinidadian-Canadian author, Mootoo sets her novel in the fictional island Lantanacamara—a kind of stand-in for Trinidad but also an imaginary, magical place. The luscious environment of this island is really a character unto itself. The dripping gorgeousness of the buzzing insects, blooming trees, and vibrant flowers—especially the central image of the illusive cereus flower—are imprinted on my mind. Mala Ramchandin, whose life story the novel tells, has a backyard that is teeming with life, in all its stages of bloom and decay. Her chaotic yard makes her known as an eccentric in her community, but it is precisely its raw, unmanicured state that shows how in tune with nature Mala is. What is natural in this novel is also queer: most of the characters are queer and/or are struggling with some kind of forbidden desire (including inter-racial longings). They are all as unforgettable as the tongue-twisting name of the island where they all live. Our narrator is the precocious nurse Tyler, a fighting spirit of a feminine man (or a trans woman? the text is uninterested in such labels) who works at an Alms house and is the caretaker of the village’s mysterious eccentric elderly woman, the infamous Miss Ramchandin. She has quite the history in this small town both ironically and earnestly referred to as Paradise. Gradually this woman’s heart-breaking story, a difficult and complex one in which colonization, misogyny, and homophobia have all wrecked havoc on her life, is told to us through the eyes of the sympathetic and endearing Tyler, whose story begins to intertwine with Mala’s when an important person from her past and his son come to visit. An adorable romance blossoms between the two younger folks. The younger man, Otoh, with whom Tyler falls in love, is not quite what he appears to be: he is actually a trans man, remarkably accepted by his family. In a way this second queer generation reworks and recovers the lost and failed love of their elders. Cereus Blooms at Night beautifully imagines a world where this kind of redemption is possible. Otoh and Tyler’s queer romance is mirrored by a lesbian one (see if you can guess it coming!) that occurs in Mala’s past. Both are beautifully drawn and emerge all the more powerfully in juxtaposition with some of the truly horrific violence—sexual, physical, and emotional—that the novel depicts. The lesson that insists on the intersectionality and interrelatedness of oppressions such as racism and homophobia is central to the novel, but Mootoo is careful never to reduce any of the characters to villains, even those who perpetrate abuse. What is ultimately tragic about the violence enacted by some is that it is the result of having been violated and exploited themselves. In this way, the novel is both compassionate and harsh. Despite—or perhaps because of—the importance of these insights, it is with a sweet message of hope—that a clipping of “cereus will surely bloom within days”—that the novel ends. The fact that cereus blooms at night, as the title tells us, suggests that light comes from dark, life from death, as Tyler’s young life blossoms beside Mala’s aged one and the plants in Mala’s yard thrive amidst decay. Queerness in the novel begins to emerge not as an obstacle which one must overcome but something from which characters such as Tyler draw strength; it’s through difference that they are able to make connections with others. I can’t recommend Cereus Blooms at Night highly enough. 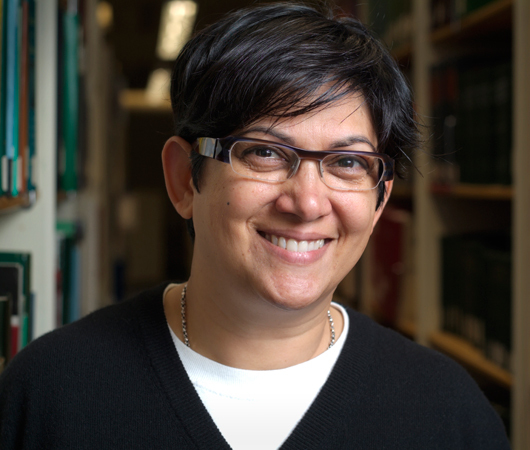 This entry was posted in Canadian, Caribbean, Fiction, Lesbian, Postcolonial, Queer, Shani Mootoo, South Asian, Transgender and tagged Book Review, books, Canadian Queer, Harper Perennial, Lesbian Fiction, literature, Press Gang Publishers. Bookmark the permalink.